Delivers wireless voice and data solutions for mobile and remote mission-critical operations for professionals. By submitting this content request, I have legitimate interest in the content and agree that RadioResource Media Group, their partners, and the creators of any other content I have selected may contact me regarding news, products, and services that may be of interest to me. Do not share this email address with a third party. Do you wish to receive a FREE subscription to RadioResource International? How would you like to receive your magazine? Which of the following industries best describes your company? Do you recommend, specify or purchase radio communications equipment or services? Is there any servicing of radio equipment at your location? In order to verify your request for this publication, without the availability of a signature RadioResource Media Group's audit bureau requires that they ask a personal identifying question. This information is used solely for the purpose of auditing your request. In what city were you born? Complete and verifiable information is required in order to receive this subscription. • Geographic Eligibility: International (Outside the USA). 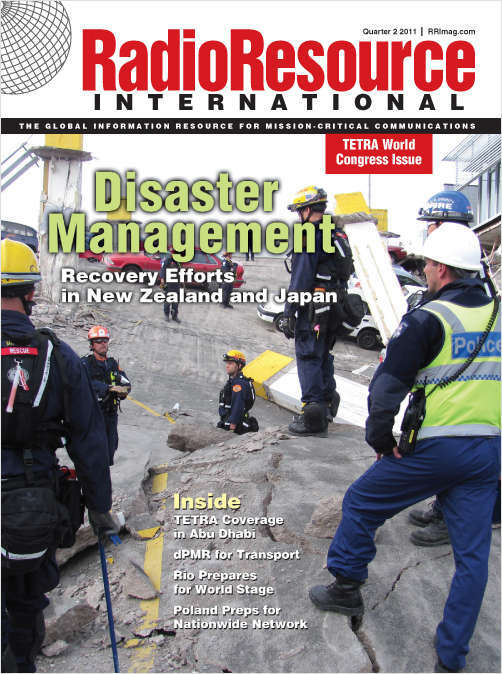 For mission-critical communications professionals in the U.S., please see MissionCritical Communications.. • The publisher determines qualification and reserves the right to limit the number of free subscriptions.